As I put away our leftover honey beans on Monday night, I happily realized that the fridge held enough leftovers to provide lunches for the rest of the week. That knowledge removes the pressure to continue making big, leftover-yielding dinners, buying me an easy night or two of sandwiches, pasta, or leftovers for dinner instead of just for lunch. 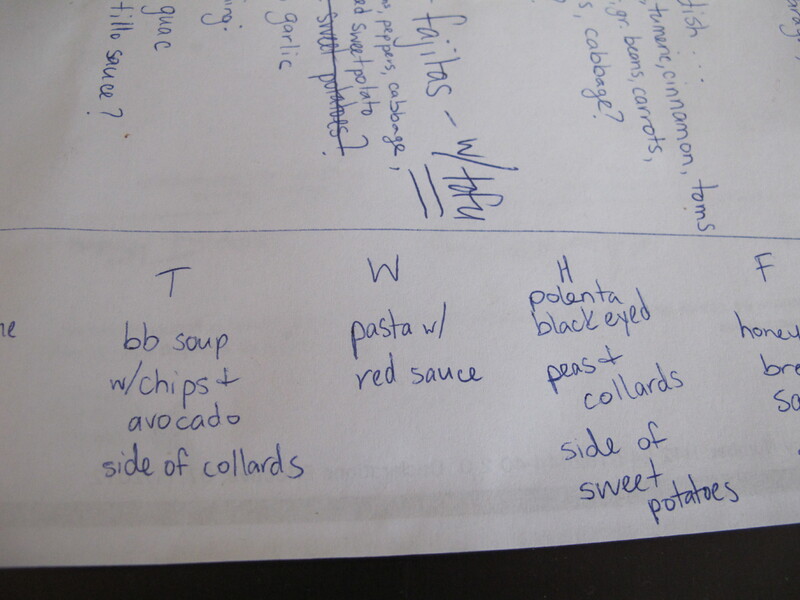 In order to keep track of all the leftover goodness and avoid food waste, I grabbed a piece of scratch paper and sketched out our lunches for the week. On the top half of the page, I brainstormed dinner ideas based on what we had to use and what types of food (i.e., rice, lentils, tofu) we haven’t eaten in awhile. 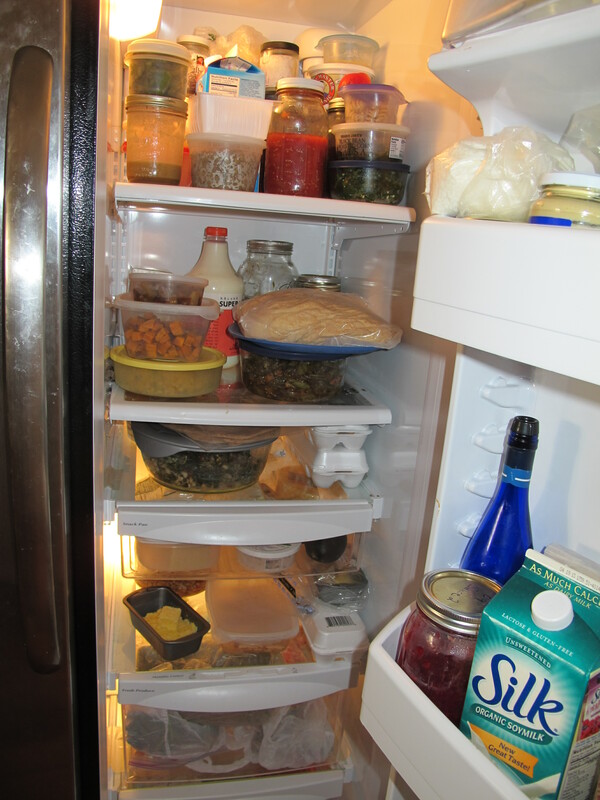 Our fridge full of leftover goodness (and a huge hunk of rising Danish pastry dough, second shelf from top, on the right). A bit crazy, but I have a pretty good mental map of what is where, and this is nothing compared to high gardening season when we’re truly overflowing with fresh produce. In case you were wondering, I have yet to use my “coasting” dinner (many weeks I don’t — it’s just nice knowing I have a cushion, if necessary). Tuesday night I made risotto (recipe coming soon) and Wednesday night I made a variation of my Persian stew, with lentils instead of chickpeas and [garden!] cabbage instead of cauliflower. This entry was posted in Food, Recipes and tagged cooking, eat local, vegetarian. Bookmark the permalink.